Murphy first came to Japan while on tour with Allister. During the tour, he received a package of Japanese CDs, that included albums by artists like Spitz and Chara. They immediately sparked a life-changing interest in Japanese music. Quickly becoming engrossed in the language, he began to study it on his own during downtime on tours. After meeting and befriending the members of the band Ellegarden at the South By Southwest music festival in Austin, Texas, Allister was invited to tour Japan. Seeing an opportunity to release material in Japanese, Murphy and his band recorded the EP “Guilty Pleasures,” which featured covers of J-pop staples. The album was an unexpected success. When Allister went on hiatus, Murphy started a solo career, releasing more J-pop covers. 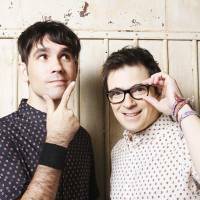 As word spread of Murphy’s pop-punk interpretations of some of J-pop’s greatest hits, Weezer’s Rivers Cuomo came calling. The duo began collaborating in 2009, and in 2012 began to play shows in Japan. Cuomo’s interest in Japan has been well-documented — most famously, his use of an ukiyo-e print for Weezer’s “Pinkerton” album cover art. His wife is also Japanese and initially helped to make sure the duo’s Japanese lyrics sounded natural to native ears. Scott & Rivers released their second album, “ニマイメ” (Nimaime, literally, “second album”) in April. 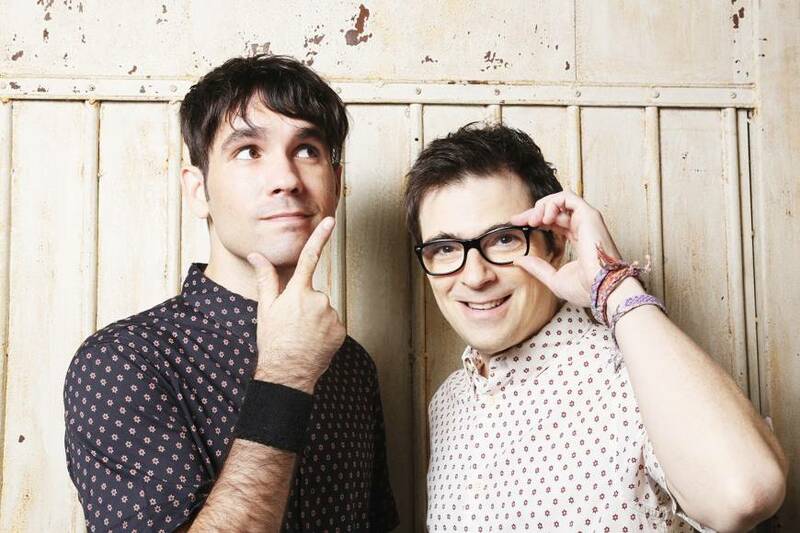 While containing many of the hooks and guitar rock sounds Weezer and Allister are known for, the album features a combination of distinctly Japanese lyrics and J-pop hooks. Of course, the other big difference in the two pop styles is the language itself. For Scott & Rivers, the lyrics are often written in English by Cuomo, and Murphy adapts them into Japanese to fit the songs they’ve penned. The process often results in simple but memorable lyrics. Take, for example, the lead single “Doo Wop,” in which the song has a bridge section that goes, “誰もが持ってる 僕らの羽がある” (Dare mo ga motteru, boku ra no hane ga aru, “We have wings everyone possesses”). “For some reason, in Japanese, you can have really simple, basic lyrics that affect in a way that they wouldn’t if written in English,” says Murphy. As with “Doo Wop,” the songs also have moments where the lyrics switch to English, which Murphy is quick to point out is actually a J-pop trait. 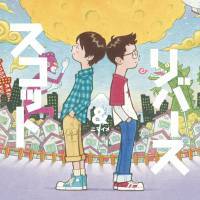 A love letter to J-pop, “ニマイメ” is a unique album that speaks volumes about Cuomo and Murphy’s cross-cultural and bilingual experiences, and ultimately their lives.